Though Malta is one of the smallest countries in Europe the country offers visitors a fascinating past and beautiful scenery. An archipelago with a craggy coast, Malta lies in the Mediterranean Sea between Southern Europe and Northern Africa. It's situated south of the Italian island of Sicily, and northeast of Tunisia in Northern Africa. 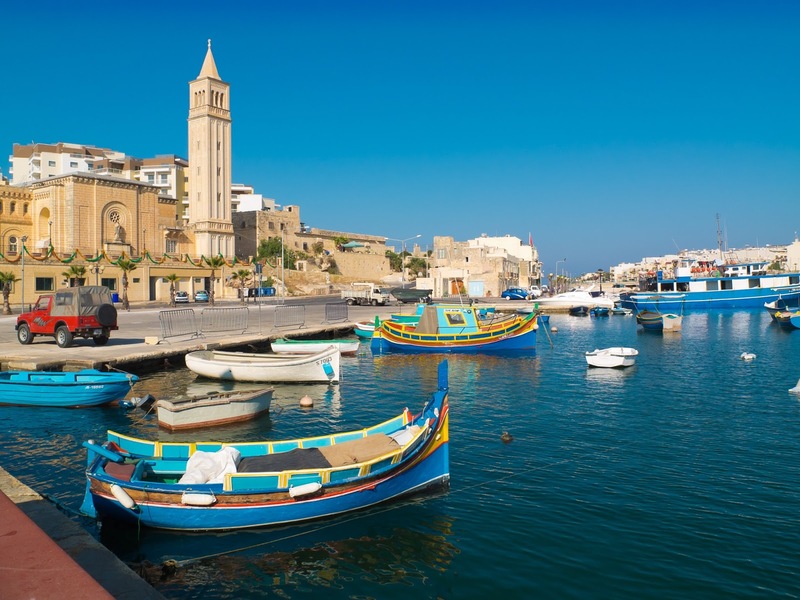 Here are some fun facts about Malta, to get you excited in the run up to a trip there. As well as the main island of Malta itself, the country is made up of smaller islands, Gozo and Comino, as well as uninhabited smaller islands. The great Greek writer Homer immortalised Calypso Cave in his epic tale The Odyssey. The capital of Malta, Valletta, is valued by UNESCO for its historical importance, and few places in the world have so much history packed in such a small place as the Maltese capital. Malta became independent from the UK in 1964. But, in keeping with British tradition, drivers drive on the left, as opposed to the usual right that's favoured on mainland Europe. Britain awarded Malta the George Cross in 1942 for its brave resistance against invading German and Italian forces during World War II. The smallest of the Maltese islands is Comino. For people looking for peace and quiet on their Malta holidays this is an ideal place to visit, with no cars, just one hotel, and the island's beautiful Blue Lagoon to enjoy. An example of an advanced human civilization living on Malta from several millennia ago can be seen at the impressive Hal Saflieni Hypogeum necropolis and the Megalithic Temples of Malta. Along with Valletta both are recognised as UNESCO World Heritage sites. The old walled capital of Malta is Mdina, and only locals are allowed to take their cars onto the road here. Gozo's capital is known by two names - Victoria or Rabat. Its most striking feature is its Cittadella, which was constructed during the Middle Ages. There are two main languages spoken on Malta - Maltese and English. Gozo has a beach of red sand in the shape of San Blas Bay. While, on the same island, is Azure Window, which is a length of spectacular flat-topped rock. The main island of Malta is only 17 miles long and 8 miles wide. In terms of size Malta is the 207th biggest country in the world. For more information on visiting Malta, go to VisitMalta.com. Image by Andrea~S, under the Creative Commons license.